Why does the Government hates trains? Home / Uncategorized / Why does the Government hates trains? Greetings everyone. It has been a while since anything has been posted but I intend to make sure that there are regular postings. One of the criticisms of the Super City is the transfer of immense power to CCOs whose boards of directors were primarily going to be appointed by Rodney Hide. The first big test is the increase in fares for Trains. The fares for busses and ferries were left alone but for some reason train fares increased. Rail Fares will increase by an average of 6.5%. This is the second increase in 6 months. Bus and Ferry fares will remain the same. The rail system is of considerable importance to the West and is arguably the most environmentally friendly form of transport. The timing is poor. University students are returning to university and cost of living increases for ordinary people is increasing greater than the increase in the average wage. Also the cost increase will undermine efforts to increase public passenger patronage. The justification is to bring fares closer to bus fares but this is somewhat surprising. The trains are meant to provide the “backbone” for PT throughout most of the city in preference to busses. 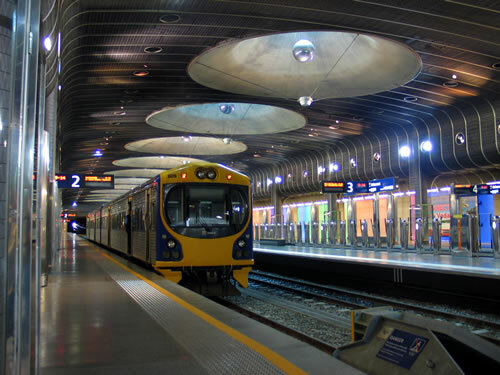 If and when the system is electrified and the Queen Street tunnel has been constructed then the rail system will represent the one truly sustainable transport system that Auckland has. The decision caught me by surprise. The first I heard of it was the announcement in the Herald. “1. When was the recent decision to increase train fares made? 2. Can I have a copy of the board paper relating to the decision? 3. If confidentiality is claimed then what were the grounds for invoking this? 4. What consideration was given to consulting with either the Auckland Council or local boards prior to the decision being made? 5. What if any changes in NZTA’s fare policy have affected this decision? 6. What if any change has occurred in relation to NZTA funding of Auckland’s public transport fares? I will post when I get a response.